Where do you buy your white sofas? 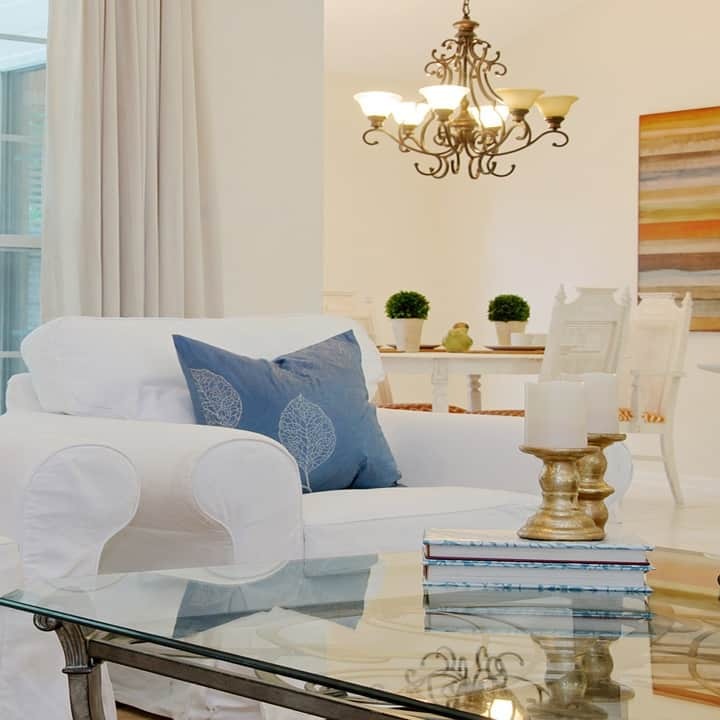 We are often asked about how to price your home staging services. Obviously there’s what you’d like to get paid, and then there’s what the market will bear. Somewhere in between is a number that will work. How do you figure that out? All pricing calculations start with you writing down your monthly expenses. For new stagers, whose storage facility is part of their house, it’s easy to write zero in this box. But you are doing yourself a huge disservice if you start this way. It’s a lot harder to raise your prices when you get busier, to cover warehouse space. You’re better off putting a step towards that expense from Day One. Also, while it is certainly tempting to compete on price, that is the fastest way to go out of business. When asked for a readjustment, you have nowhere to go but broke! Once you have your actual expenses, there comes the calculation for time. While you may actually be working in your staging business full time, it is more likely that only 30% of your time is spent out in the field doing the kinds of tasks you can charge for. So, of any 40 hour week, only 12 of those are billable. This is why you have to charge a decent hourly rate like, typically $75 – 150/hour, so that you can afford to be in the staging business! Now, given the context of your geography, is this a reasonable number to ask? If not, you will have to lower your hourly fee and make up the difference on the back-end — i.e. in the markup you make on renting furniture, accessories, etc. Equally, it could be higher where you are too. Areas where the homes tend to run in the multiple millions have stagers with expensive, high-end inventory, and their time can command higher rates. When it comes down to strategy, you can charge by the hour, or by a flat rate that might vary by the day or half day – essentially setting the rate per job. Another pricing strategy some home stagers will use is to take into account the list price and base their rate off that. Details you will have to keep mind are whether you get paid up front or at the closing. If you wait until the closing, will you take a deposit upfront… and what about losses? Most professional stagers don’t have the time to take the risk; they want to get paid and get on to the next gig. What about pricing per square foot? We at SARS think that is only viable for consultations. Sometimes you will do MORE in a smaller home if the room usage is unclear; other times you are merely suggesting lifestyle and leaving the whole thing open and clean (read: sparse) If you do want to use this strategy, however, you would determine how long the job will take, based on your average experience, and then simply divide it by your hourly rate. « Apps for Home Stagers – Do Use and Do NOT!! I am considering adding staging to my interior design and project management company. Unfortunately, I do not have a lot of inventory and will need to begin with furniture rental. My question is, what would be an appropriate upcharge for the rental costs? 10% in addition to an hourly? Thank you for getting back to me at your earliest convenience. Is pricing per percent of list price (strategy 3) a one time cost or per month. Great info here Thanks!! Our contracts are for 90 days, although staging typically has the home sold in less than 60 (list to close). So, for us, the percent of list price option is generally a one time fee, unless the house goes longer than 90 days.